MABLETON, Ga -- Cobb County Police are looking for two gunmen, one of them may have a gunshot wound to his foot or leg. 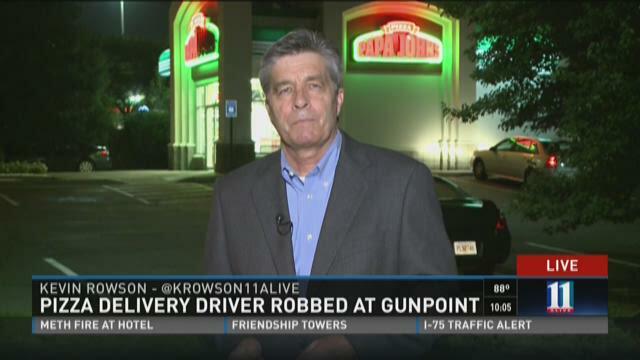 They are accused of robbing a pizza delivery driver. It happened shortly after midnight Monday morning. It was one of the last deliveries of the night from a Mableton Papa Johns by a 27-year-old employee. Police are investigating whether the delivery man was set up.